Tuesday June 12th 2018 – The upgrade has happened! 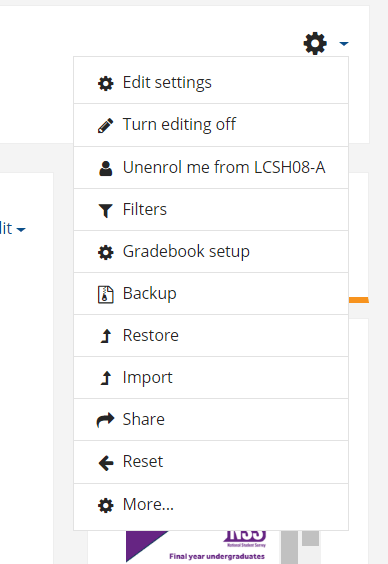 We are pleased to announce that the main upgrade to Moodle 3.4 has now taken place and LearningSpace is no longer in maintenance mode. The team will continue to work on menus and general customisation of the newly upgraded LearningSpace system throughout the week with a few more changes to come. A few of the new additions are highlighted below. One of the biggest improvements in the new interface is the Hamburger menu (located on the left hand-side). This menu can be toggled to hide/show and includes links to your dashboard, calendar, site home, private files area and courses that you are enrolled on. If you are enrolled on more than 15 courses, you will need to click the ‘More…’ option at the bottom of the menu, enter the module code in the search bar and click Go. When on a course page the Hamburger menu is populated with links to each section of the course, so a simple click will take you directly to the section that you want. You can also access courses that you are enrolled on via the Dashboard. Here you will see six of your courses displayed at once and can use the navigation bar to locate the course you want. 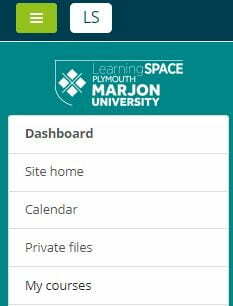 You can also access your courses via the “My Modules” link on the front page or the My Marjon dropdown menu. The new interface includes a cleaner and less cluttered front page with navigation reflecting the look and feel of the Marjon Mobile app. It contains new Quicklink buttons to take you to important information, including your timetable and modules. It also utilises the new navigation menu for site wide navigation and will show students notifications and new messages from the top right hand corner. The dashboard page from which you can access your courses has also had an upgrade. This will include a timeline of upcoming events or assignments to allow you quick and easy access. The list of courses on this page has changed slightly, you are able to change this back to the original courses list or add a new my courses block. For information on doing this visit our guide on adding a ‘My Course’ block to your dashboard page. To turn Editing on from the new interface in order to make changes to the course page you need to use the Settings cog from the top right-hand corner. Clicking this will dropdown a menu allowing you to Edit settings or Turn Editing On for the page. 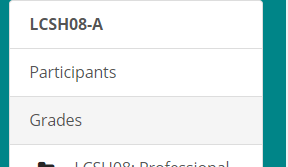 To view users enrolled on the course and to add new users, open the hamburger menu on the left hand side and click on “Participants” this will take you to a list of users to enrol users from. Watch the film below which features Senior eLearning Technologist Helen Baker talking about the upgrade and some of the improvements made. Watch the screencast below to see the different ways you can access modules that you are enrolled on, how to navigate to different sections of a course page and how to turn editing on and off (for tutors). For problems with passwords, email or other network questions please contact ComputingServices@marjon.ac.uk. For general LS enquiries please contact the LS Help team on LSHelp@marjon.ac.uk. For TEL and other queries contact the MeLT team. eLearning & TEL Help © 2019. All Rights Reserved.